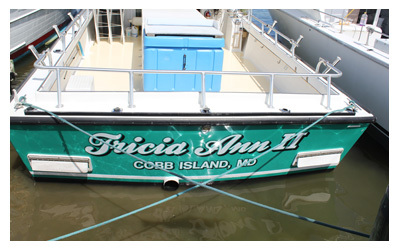 The Tricia Ann is a 46 ft. Markley solid fiberglass bay-built style deadrise. 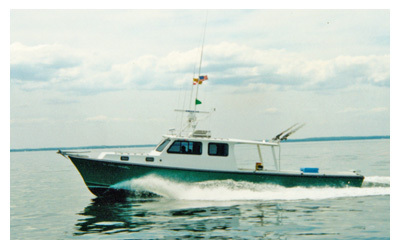 She cruises at 18 kts, with a top speed of 20. 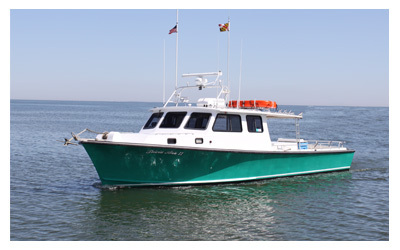 She's Coast Guard certified to carry 24 people and equipped with all state-of-the-art electronics, safety gear, private rest room, heated and air conditioned cabin with generator. Dinette seating for 10 people. Diesel powered for safety.